Our first trip to Yellowstone concluded with some amazing technology. Mark Hardy, co-owner of a company called 3D at Depth, joined us in the park for the last few days of our project. 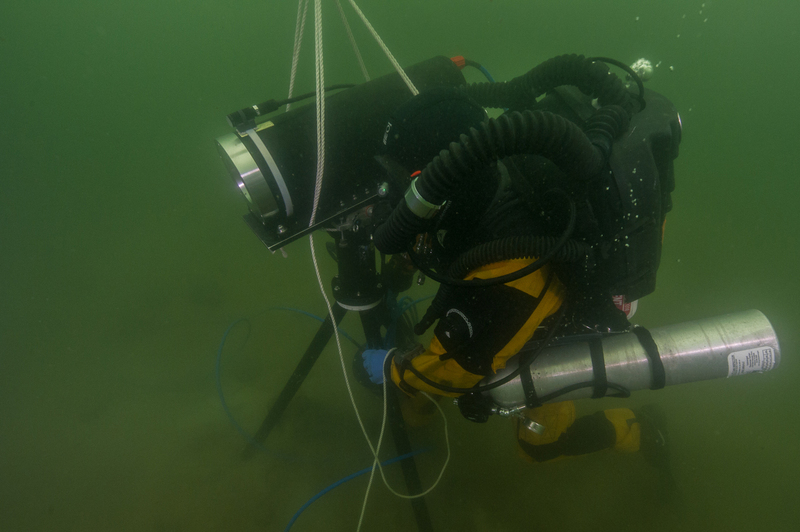 Apparently the inability to pack light holds true for underwater technology as well, as Mark was accompanied by several pelican cases of gear! 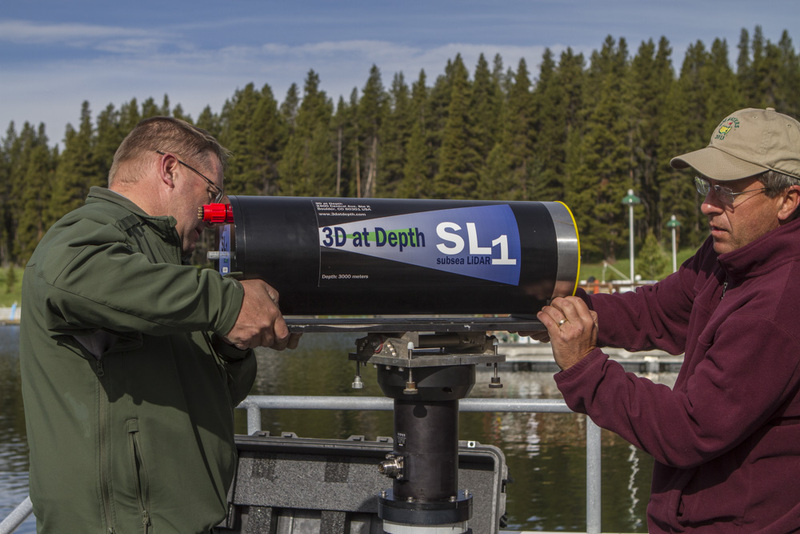 3D at Depth specializes in the underwater application of a scanning technology called lidar which illuminates a target with a laser then analyzes the reflected light. 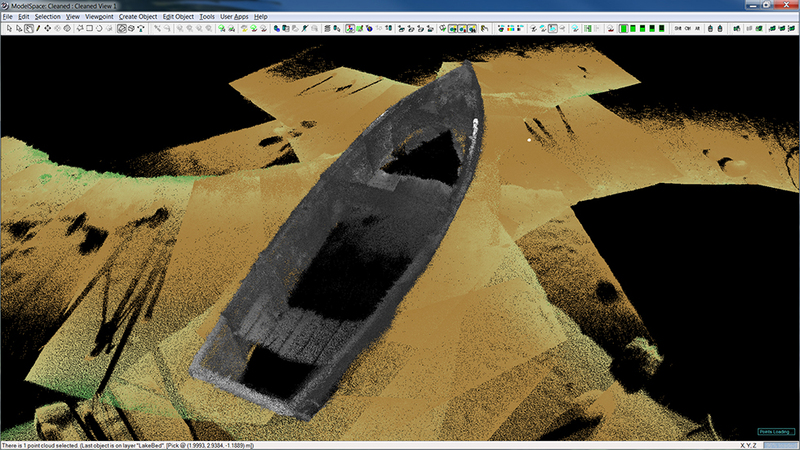 The resulting data set is called a “point cloud” image. Whenever the laser hits the subject of interest it creates a point, and then millions of points combine to form the final image. For the Yellowstone project, our target was a rowboat that had been sunk in front of Lake Hotel in the early 20th century. Although Lidar is still a relatively new technology it is rapidly becoming the industry standard in the architectural and engineering world due to its accuracy. 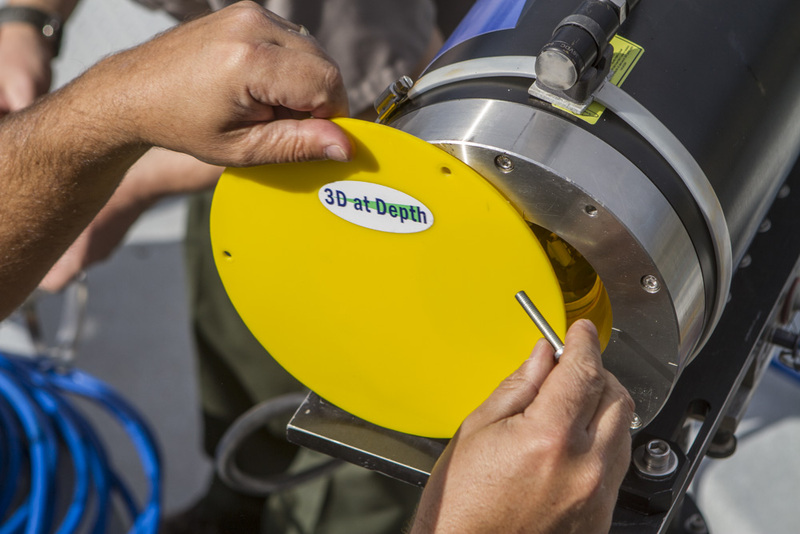 3D At Depth is perfecting the technology in the subsea, or underwater environment, particularly in the oil and gas industry world wide. 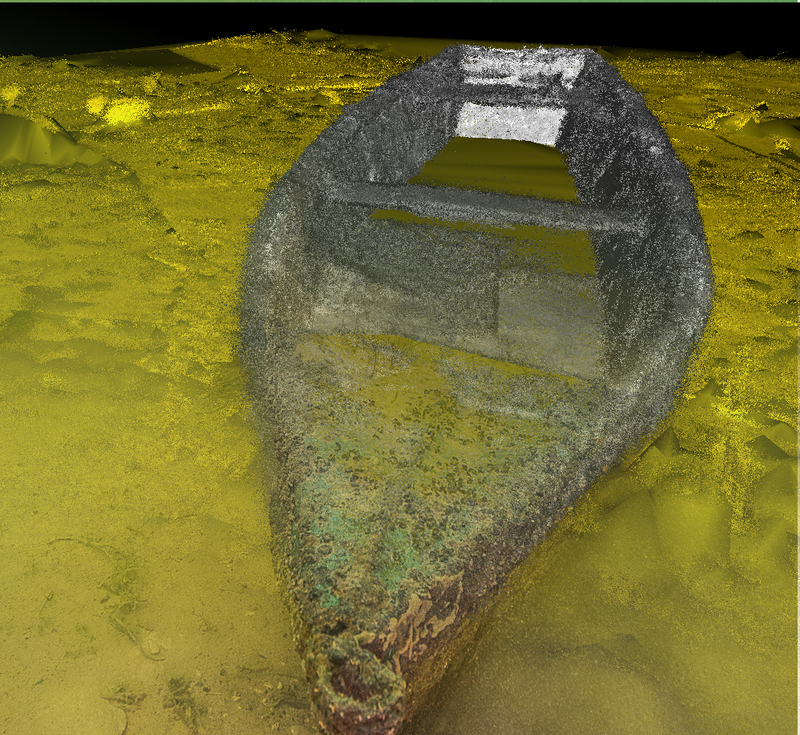 The SRC has partnered with 3D At Depth to explore how the technology can be utilized to both map historic shipwrecks and educate the public through 3D models. 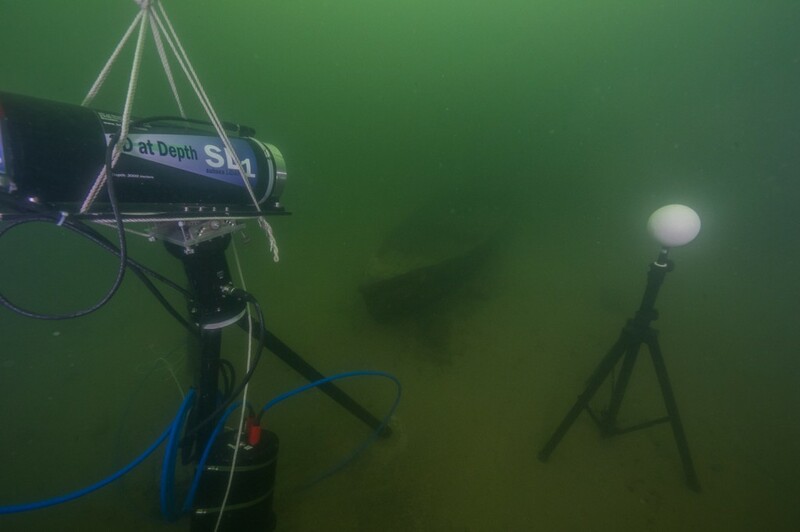 Because this particular laser scanner was depth rated to 3000 meters (thats 9,842.52 feet!) 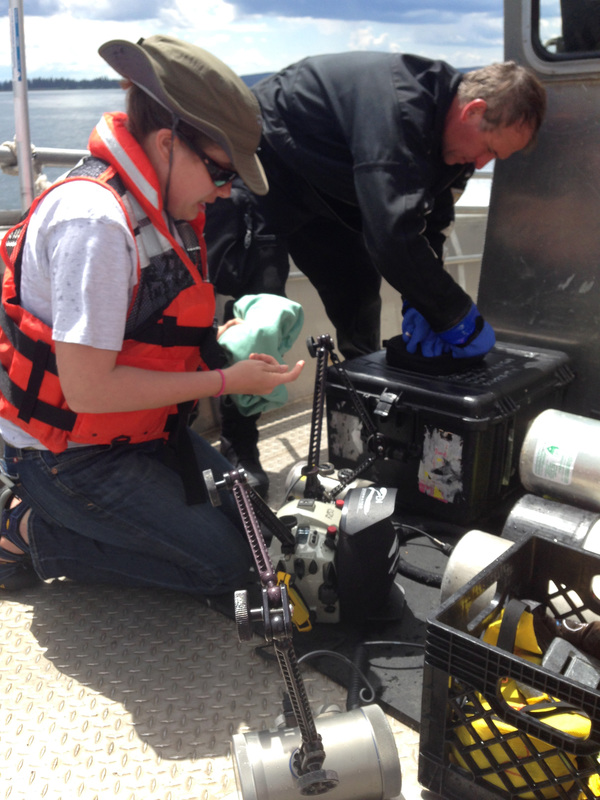 it was pretty unwieldy and extremely heavy, so getting it off and on the boat was quite a process! In order to get a 360 degree scan of the rowboat we had to scan nine times each from different angle. This meant that Brett and I would hop in the water, move the scanner, and then surface while the scan was underway. 30 minutes later we’d be back in the water to move the laser again! I broke a new personal record with six dives in one day, although all of them were only to 25′ and relatively short dives. You can check out 3D At Depth profile of the Yellowstone scanning project by clicking the 3D At Depth logo below (opens new window). 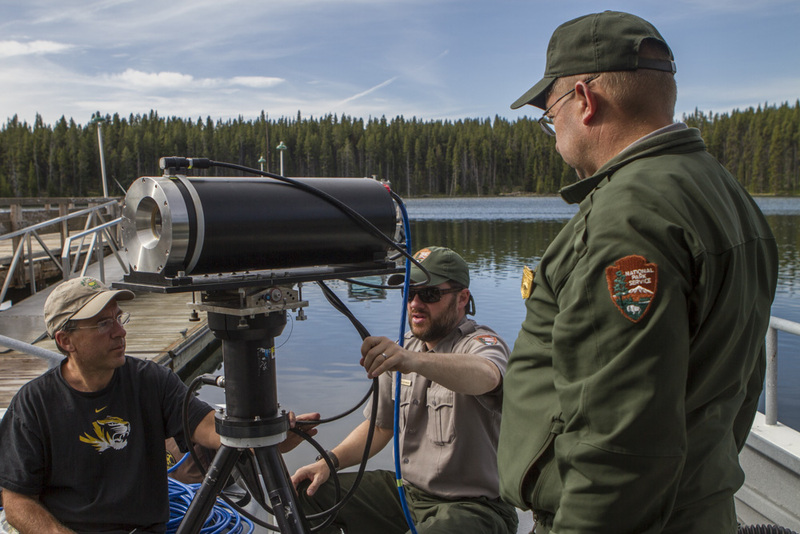 After the scanning was complete our work in Yellowstone was done. We packed up the trailer and left it ready for the next trip a week later, and then began the nine-hour trip home. Being back in Denver meant having a week off to relax and prepare for the next Yellowstone trip. The whole Submerged Resources Center Staff was in town (which rarely happens) so it was the perfect opportunity for a staff photo, taken by yours truly. It was a great opportunity to meet everyone, and catch up on different projects that had been ongoing around the country. Being in Denver also meant I had the opportunity to explore some of the quirkier aspects the city had to offer. Jessica Keller, one of the SRC archaeologists, took me to play a game of underwater hockey. The game is played in eight feet of water, and each player holds a miniature hockey stick to move the puck around the pool and into the opposing team’s goal. After watching a couple YouTube videos I was pretty nervous, as underwater hockey players seemed as competitive and aggressive as real hockey players! But once I got in the water my nervousness vanished, and I even managed to score two goals! According to the players I was a “natural,” which I thought was pretty funny for such an unusual sport. It must have been all of that club swimming growing up! (Thanks Mom). After underwater hockey Jess and I went back to her place, where we had some delicious ribs barbecued by SRC archaeologist and grill master John Bright. I’m a recovering vegetarian, and those ribs were the best (and only) I’ve had in seven years! Our food adventures weren’t done there; the next day John and Jess took me to one of their favorite restaurants, the Sherpa House in Golden, Colorado. 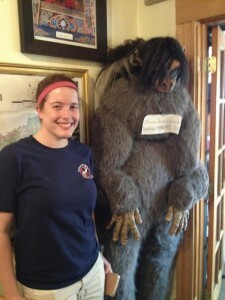 It was an all-you-can eat Tibetan café, so needless to say I ate all I could! So with high spirits and a full stomach I was ready for my second trip to Yellowstone. 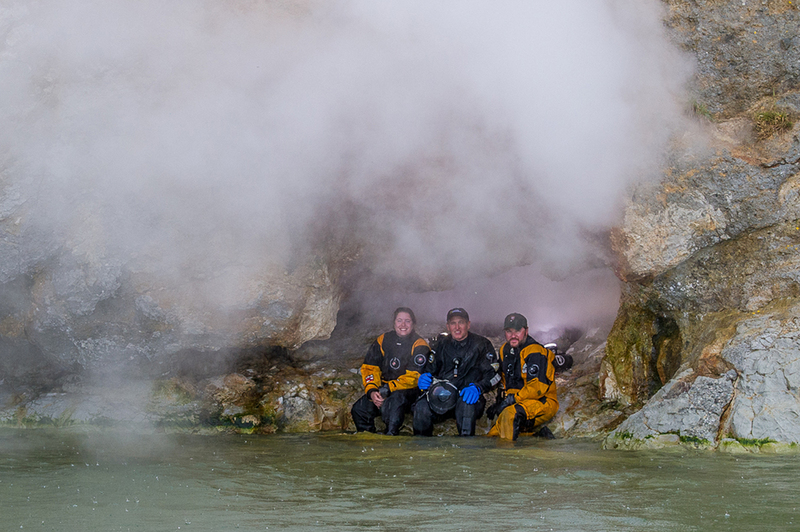 On this project, the SRC was collaborating with National Geographic Magazine and their underwater photographer Brian Skerry to image the geothermal features in Yellowstone Lake. Apparently National Geographic is dedicating an entire issue of the Magazine to Yellowstone National Park in the Fall of 2015 in anticipation of the NPS Centennial anniversary which happens in 2016. Through the SRC’s relationship with Senior Photo Editors at National Geographic they were able to offer up a rarely seen side of Yellowstone, its underwater world, and support this project along with the Park. I researched Brian’s work in college, and even had one of his books signed at the Boston Sea Rovers Film Festival a few months earlier. I was a little worried that I would be too awestruck to speak intelligibly, but luckily he was kind, humble and a great person to learn from. Turns out that earlier in his career he was the recipient of an Our World Underwater Scholarship Society internship as well, which I thought was pretty neat. Me helping prep Brian’s gear! 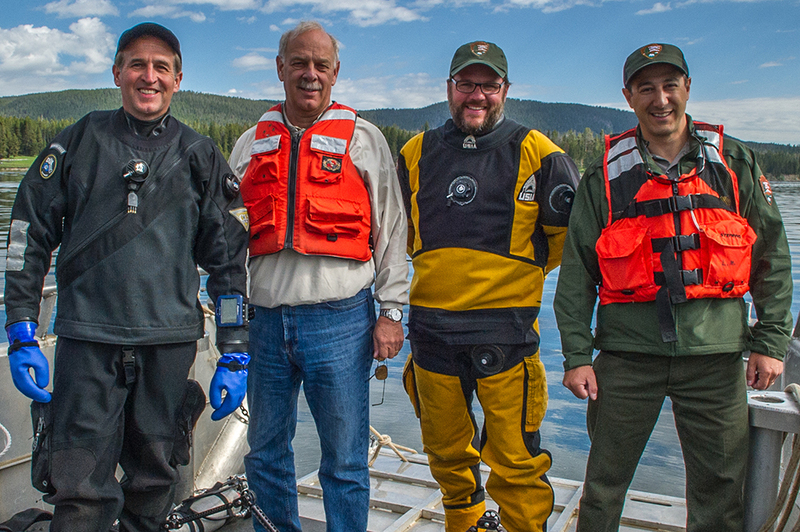 The other members of our troop included the SRC’s Deputy Chief and Photographer Brett Seymour, who was on the first Yellowstone trip last week, and Volunteer In Parks (VIP) Jim Koza (known to us simply as Koza) who is a retired NPS’er with nearly 40 years experience running boat and dive operations in and around the NPS. I rounded out the foursome, and after we arrived in Yellowstone Brian started the task of unpacking his nine Pelican cases and prepping his gear. Saying goodbye to the Mahn! 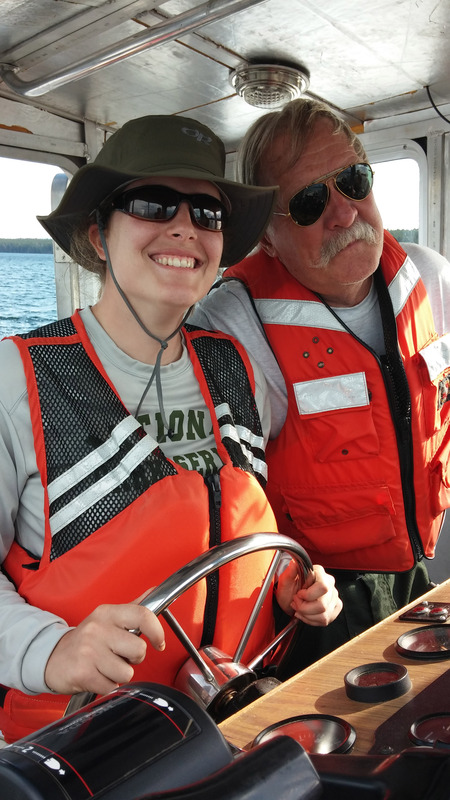 Koza and I boarded the Robert E. Mahn for an orientation provided by former Lake District Ranger Rick Fey. Rick was a fount of knowledge for all things boat-related, and showed Koza and I the ins and outs of the Mahn. We were taking the boat around the lake when the port engine unexpectedly shut off! 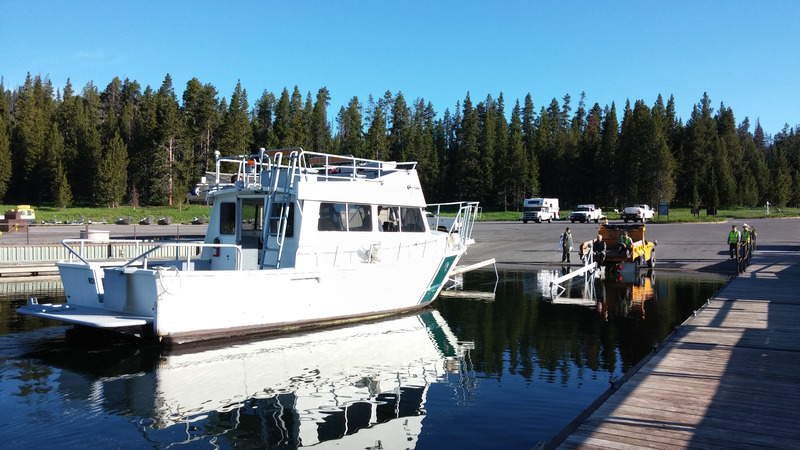 Koza maneuvered the boat back to the harbor using only the starboard engine, and then he, Rick and a couple maintenance guys checked out the engine. I didn’t understand all of the lingo about the “outdrive engine,” but at the end of the day we had to find another boat to use. Luckily enough the Maintenance department in the Lake Region generously lent us one of their boats, and we were back in business on the Warwood. My role on this trip was to assist Brett and Brian on their dives and act as camera assistant (handing in and retrieving cameras and lights, last minute vacuum seals, etc. 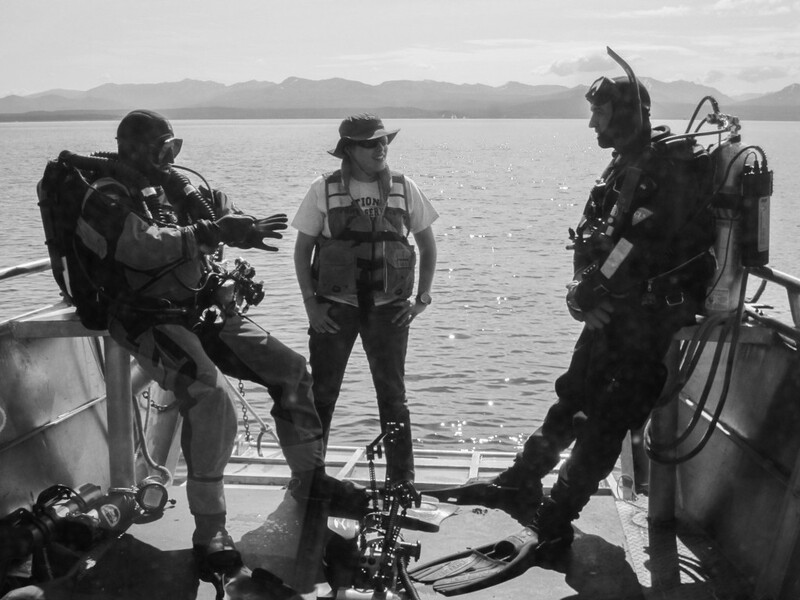 ), deckhand, and Dive Supervisor. This was a great opportunity, as I was able to pick up all sorts of useful skills, such as tying knots. Koza is an absolute knot guru, and so I learned the clove hitch, square knot, grapevine knot, Prussik knot, bowline, sheepshank, sheetbend, alpine butterfly knot, anchor bend and figure eight knot. Whew! I also got some more practice at driving a boat, as well as “parking” it! It was a little bumpy, but practice makes perfect. One of the most important things I learned on this trip was to back up my work on an external hard drive. One night while mooching internet at the Ranger station my hard drive suddenly shut down. My pleas to my laptop went unanswered, and my photos from Yellowstone were lost. It was very upsetting to lose the photographs and all my files, but as Brett said, it’s better to have that lesson learned sooner in both my internship and career rather than later! Now I’ve established a nightly back-up to an external hard drive, just in case. 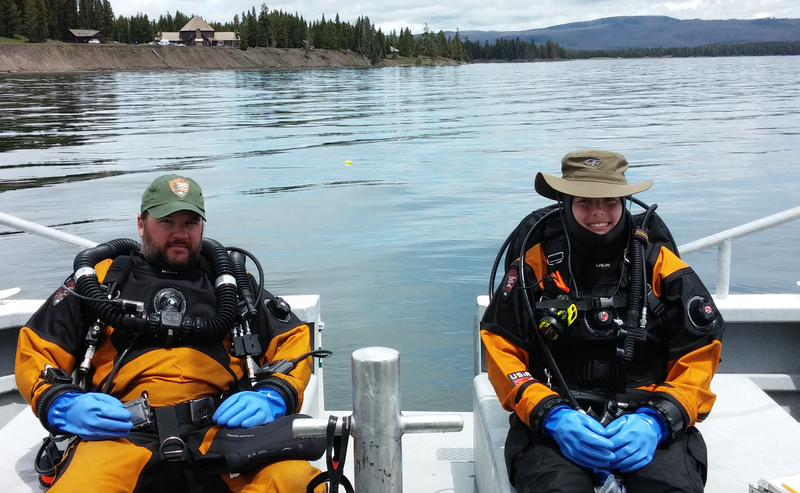 We had some very special guests join us while diving on Yellowstone Lake: Yellowstone Superintendent Dan Wenk, and Chief of the Yellowstone Center for Resources Dave Hallac both joined us for a morning dive. It was a beautiful day with a calm lake, and their visit was a great opportunity to meet the people running the park! We also had former Chief Ranger and Regional Dive Officer Bob Whaley join us for a day; he started the dive program at Saint Croix National Scenic Riverway in Wisconsin/Minnesota and it was great to hear about his dive programs accomplishment with invasive species on the St. Croix River. And of course, I can’t forget the fantastic advice I received from Brian! He encouraged me to get involved in the marine science community, and use photography to tell scientific stories. My favorite thing he said regarding underwater photography was when he said to “take photos that makes that person sitting in a dentist’s chair stop and read the captions.” His advice and encouragement was fantastic motivation to push myself professionally and photographically, and I can’t wait to see where this summer leads me! 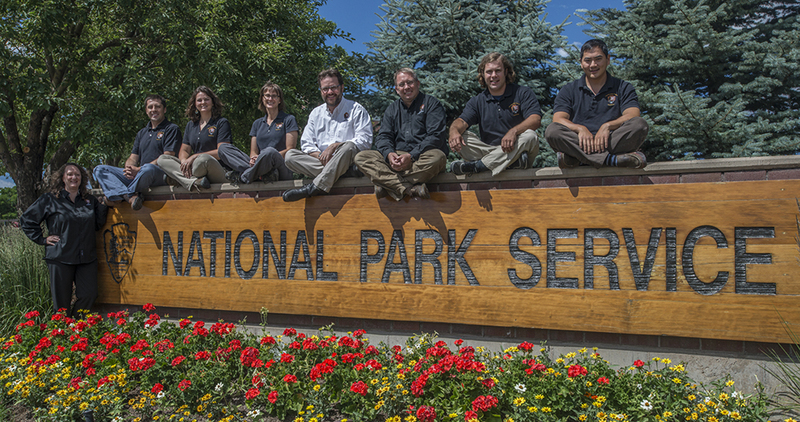 This entry was posted in 2014 National Park Service, Current Internships on July 23, 2014 by Yasmeen Smalley.